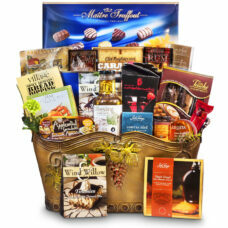 Celebrate life and happiness and the upcoming New Year by wishing your friends a successful new year and start their good fortune with our top of the line celebration gift baskets. 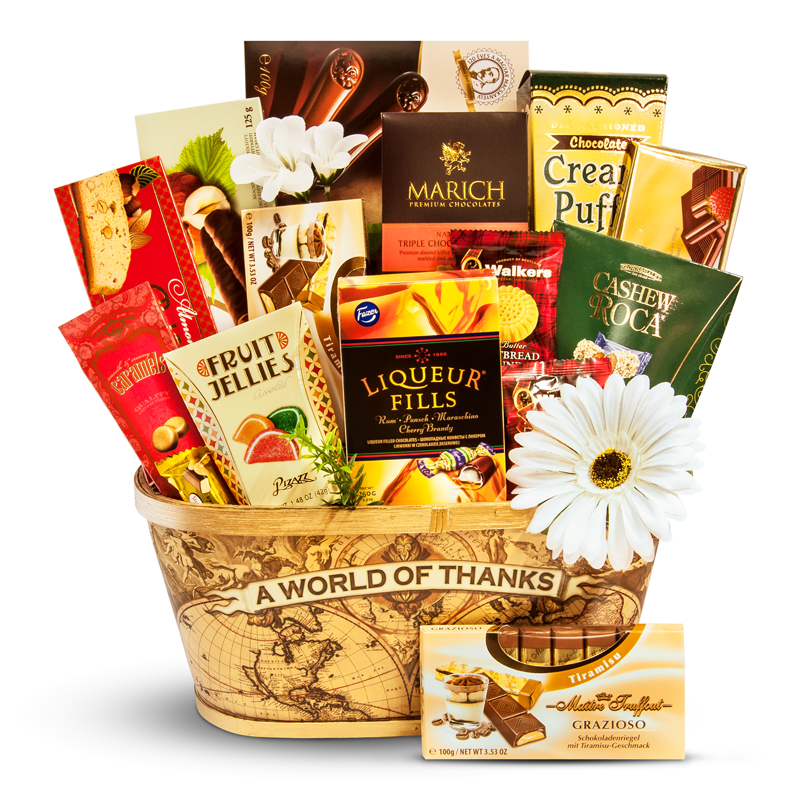 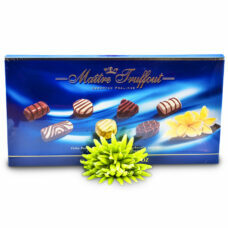 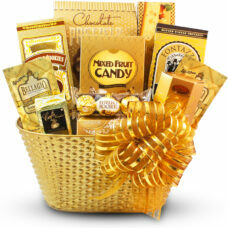 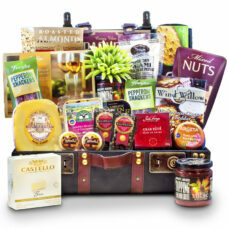 A perfect Celebration gift goes along with your best wishes when you select a lavish gift basket like this. 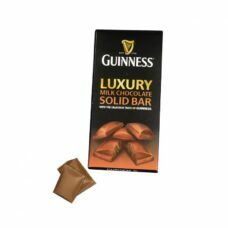 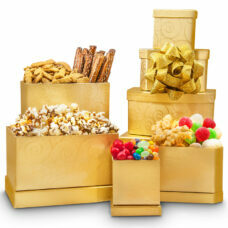 Receiving this gift will be like a found treasure with it’s golden looks and the nice treats with tasty treats. 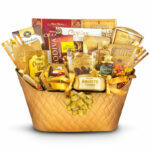 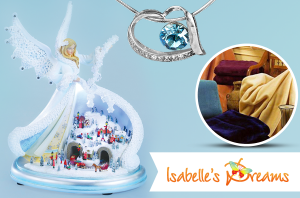 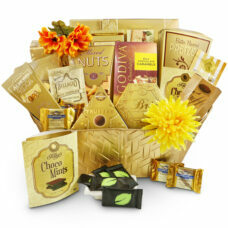 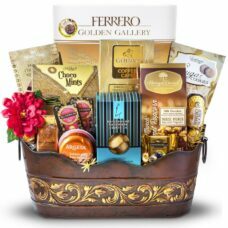 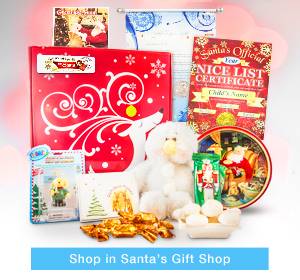 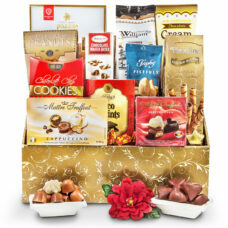 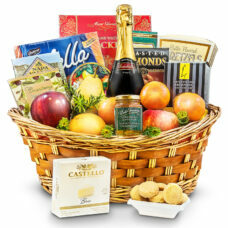 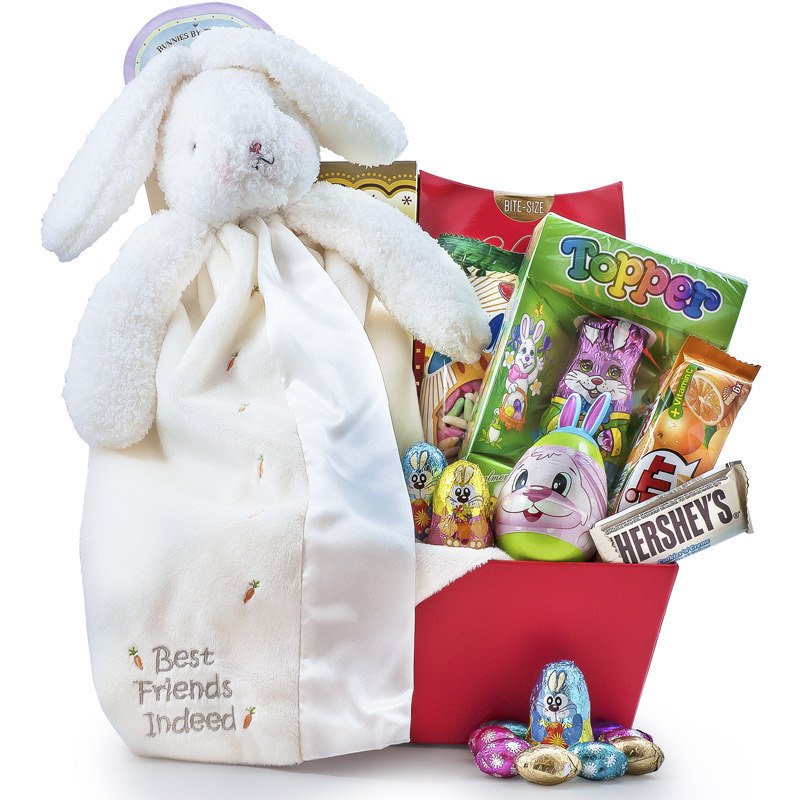 This gift basket will sparkle Just like gold with it’s stunning 48 pc. 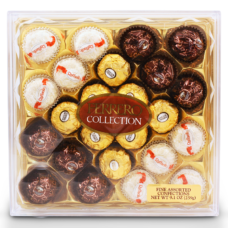 Ferrero Rocher assortment.